Butchers cut, prepare and sell meat. Chances of getting a job as a butcher are good due to high turnover and a shortage of workers. Pay for butchers varies depending on qualifications and experience. Apprentice butchers usually start on minimum wage. Newly qualified butchers earn about $19 an hour. Experienced butchers earn about $20 to $22 an hour. Those with managerial responsibilities may earn up to $25 an hour. order and carry out stocktakes of supplies. food hygiene legislation and regulations. work in conditions that may be cold, due to moving in and out of freezers, and dangerous due to working with knives. Whare Rutene jokes that he decided to become a butcher because he liked the idea of playing with knives. "But once I gave it a shot I found there's a lot more to it than using knives." Whare's first step in becoming a butcher was completing a pre-employment course in meat retailing. "We learned about the different types of meat and how to break a carcass down into different cuts. We also learned how to use and take care of the equipment, and provide good service to customers." Whare went on to complete his apprenticeship at a supermarket butchery, and eight months after he qualified he was promoted to assistant manager. "I've been working as a butcher for six years now and it's really grown on me. I start work at 6am nearly every day, but the good thing about that is I finish early." He says the only thing that might put people off is the cool temperatures in a butchery. Other than that, he says it's great being a butcher. "I really enjoy the people I work with – they're all good, down-to-earth people." Whare Rutene is of Ngāti Porou and Tūhoe descent. Clinton: Hi and welcome to Just the Job – New Zealand’s careers programme which gives you a behind-the-scenes insight into a huge range of exciting career opportunities. This week, we’ve got a special programme looking at three new possibilities for you. …and to round off today's programme we are in Christchurch as Tony finds out about careers in the expanding heating ventilation and air-conditioning industry. So let’s get started and join Arpe as he takes a look behind the scenes here and discovers the skills required in retail meat. Clinton: Blake, formerly a qualified butcher for Foodstuffs supermarkets, supports all their apprentices through training organisation Competenz. Blake: To be a good butcher you need to be thick-skinned, you know – it’s not a workplace for the faint-hearted. You need to be reasonably strong, you know – you’re carrying around carcasses, you know, you’re starting early as well – any time from sort of four till sort of six is probably the general starting time, but certainly rewarding. Clinton: First Arpe gets a tour around. Blake: …this is the inwards goods area, so what happens basically, all your carcasses, all your chicken boxes – everything comes in through this back door. Blake: …breaking lambs down this area. Basically what the aim is, is to get the cabinet full before the shop opens. Clinton: While many might be cooking their breakfast bacon, a butchery is at its busiest, so it’s a good time to see how a well-organised butchery works. Arpe: So how do I get started? Blake: How do you get started? Well, there’s all sorts of jobs you could be doing. Blake: You could be cutting something up like a rib-eye, scotch steak, but unfortunately, this is quite a precious cut and one of the most expensive cuts, so the sort of tasks you would be doing to start with would be making mince, filling up the pet food – things like that. It may seem a wee bit tedious, but the reality is you do have to start at the bottom just like any career. Arpe: How much training do you have to take to be able to do a cut like that? Blake: Normally about three years on the knives. Blake: So it sounds like a long time, but there’s a lot of things to learn. There’s four main species that we break down in a butchery – beef, lamb, pork and chicken. Arpe: So are there any apprentices present here today? Blake: There’s one called Jack actually – do you want to go and meet him? Blake: Awesome. Jack, how are you doing man? Arpe – Jack. Clinton: A job for new apprentices is making some of the value-added products for the gourmet bar. These are chicken mignons, and Jack, who’s nearing the end of his apprenticeship, is showing Arpe what’s required. Jack: You make it up as a butterfly looking – see? Jack: Now you grab a streaky bacon… the fat side up, yep, that one… you roll it around it. Clinton: Jack hails from Kurdish Iraq. When he arrived he had no English, but his good attitude and ability to learn fast has been impressive. He’s looking at a very successful career as a butcher. Jack: I never thought I was going to be a butcher until I got a part-time job, I never ever thought I was going to stick around the butchery or the meat industry. I got an offer, once I convinced my boss to give me an opportunity to be an apprentice. Arpe: OK, so what is it that you like most about being a butcher? Jack: I’m 100 percent positive with what I’m doing, I’m 100 percent happy with it. This is something that’s like a challenge in you – it’s all fun and games, but in the meantime it’s a dangerous job. Clinton: Good knife skills with a big eye on safety is important. Clean and accurate cuts make the product look good. They also minimise waste. Blake: Yeah so hygiene is important – what we’ve got to remember is what we’re preparing is what people are eating, so it’s critical. We’ve got different types of meats in there as well – we all know the dangers of chicken – so cross-contamination comes into it, but personal hygiene as well – again, you know, we’re handling food that people are going to be consuming, so making sure that we’re looking after ourselves in a hygienic way. Clinton: Sticking and stacking is a neverending job. Arpe: OK, so I’ve heard that you’ve won an award? Jack: Yeah I did a competition called Butcher's Apprenticeship of the Year and I won overall. Clinton: Also collecting an award was Abigail Lane, who took out the Young Butcher of the Year. Both will be heading to the UK where New Zealand’s Sharp Blacks butchering team have their next competition. It’s between the Kiwis, Britain and Australia, and he’ll see some of the best knife skills in the world. Clinton: Well it’s already been a busy morning for Arpe and on the dot of 11 the day’s delivery arrives. The carcasses head straight from the truck to the near-freezing-point chiller. Blake: From a personal point of view, I think the physical side of it is really enjoyable, and also just the camaraderie – working in a team environment. Most people enjoy a good laugh in there. They work hard, but certainly butchers know how to have a bit of fun. Blake: OK, so basically that means it’s the back of the animal. OK, so you’ve got the shin through here, OK, and you’ve got the inner leg, which is known as the topside – you use that for casserole-type steaks and what have you, and then you’ve got the silverside, which is the outside of the leg. Blake: …OK, so that’s your most expensive cut. Clinton: Next job – making mince. Nela, a Pak'nSave recent recruit, is showing Arpe how. Clinton: Nela is hoping to become an apprentice soon. Nela: …instead of using your arms to pick it up. Arpe: What made you want to be a butcher in the first place? Nela: Well what inspired me was the teamwork and effort that goes into making the meat. Clinton: The beef has to be run through the machine three times before it's ready for the shelves. That ensures there’s a refined and consistent quality. Blake: Customer service is another major part of being a butcher – you’re interacting with customers and they expect good service, so certainly being friendly and open and honest with your customers is critical. Clinton: For a qualified butcher what cuts the mustard most is taking a carcass of beef, and swiftly and deftly breaking it down into its component parts. Blake: Once you’re qualified as a butcher, after you’ve done your apprenticeship, there’s plenty of options. If you’re working in a supermarket, for example, you can go into management, there’s plenty of butchers that own their stores, you could go into doing tutoring of apprentices – there’s all sorts of different career opportunities. Clinton: It’s been a big day so is Arpe sharp enough to be a butcher? Blake: Look at that Arpe eh! Second time, and look at that and pretty awesome! So Arpe’s done exceptionally well, he’s got his hands dirty, he’s got amongst it. I really wish him well in his future employment. I think he’d be an asset to any team. Arpe: Yeah so in future's time I’d really love to be an apprentice so I can be a butcher and pursue my career and slice up meat like they do. Clinton: There are no specific entry requirements but you need to demonstrate a keen interest in butchery and secure a job with a butcher first. 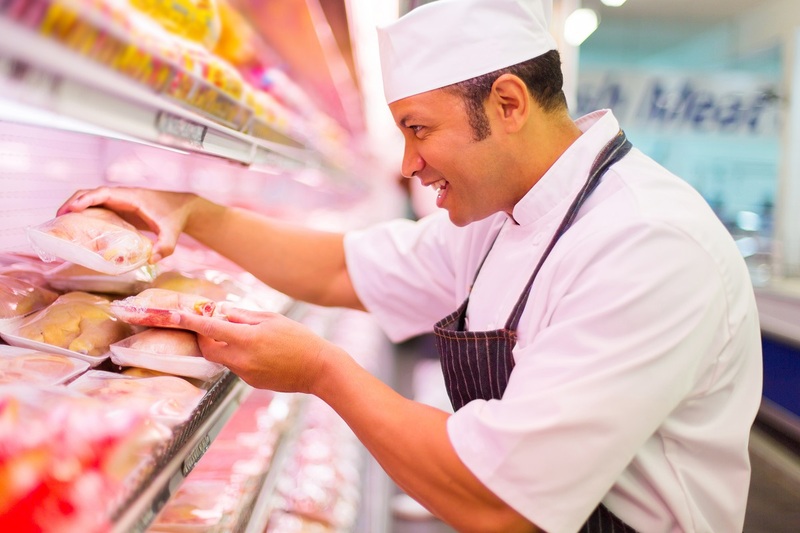 The Level 4 Certificate rogramme focuses on the key skills required to work in a retail butchery. You learn on the job together with block course attendance. 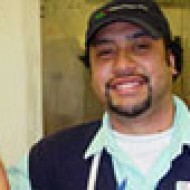 Competenz manages all New Zealand retail meat apprenticeships. You have to work in a butchery to do an apprenticeship. A growing population means job prospects are good. To become a butcher you need to complete an apprenticeship and gain a New Zealand Certificate in Trade Butchery (Level 4). Competenz oversees butchery apprenticeships. A minimum of three years of secondary education is recommended. Home economics (food and nutrition) is useful. work as a clean-up person in a butchery. Butchers need to have good hand-eye co-ordination. They also need to be reasonably fit as they often stand for long periods and may have to lift heavy items. not enough people are completing butchery apprenticeships. Chances are particularly good for halal butchers (who kill and prepare meat in accordance with Islamic customs), as there is a shortage of people trained in this area. As a result, employers are hiring halal butchers from overseas to meet demand. Some butchers may own and work in their own butchery. Competenz website, accessed June 2018, (www.competenz.org.nz). Hutching,G, 'The World is Eating More Meat, Not Less and That's Set to Continue', 20 February 2018, (www.stuff.co.nz). King, H, 'The Average Kiwi Eats 20kg Less Red Meat Amid Concerns over Sustainability of Agriculture', 4 February 2018, (www.stuff.co.nz). Meat Industry Association, 'Meat Industry Association 2017 Annual Report', 2017, (www.mia.co.nz). Ministry of Business, Innovation and Employment, 'Annual Percentage Change in Advertised Job Vacancies, March 2017 to March 2018 Quarters', 27 April 2018, (www.mbie.govt.nz). Ministry of Business, Innovation and Employment, 'Investor's Guide to the New Zealand Meat Industry 2017', 2017, (www.mbie.govt.nz). Ministry of Business, Innovation and Employment, 'Occupation Outlook – Butchers', accessed 2018, (www.mbie.govt.nz). Robertson, H, training manager butchery, Foodstuffs North Island, careers.govt.nz interview, June 2018. Butchers may progress to own and work in their own butchery, or manage a supermarket butchery department. Bakers prepare, bake and decorate bread, rolls, pastries, desserts, cakes and slices. Chefs prepare and cook food in restaurants, hotels, catering businesses, resthomes, cafes and bars. Meat/seafood process workers process, grade and package meat, fish or shellfish for local and overseas markets. Some also slaughter animals.